Init parameters are great for setting up variables, that may require changes in the future. For example you can use init parameters to store your database connection or store external API keys or URLs. The benefit of using init parameters is, that you can easily change your configuration without recompiling the whole application. In our previous example we demonstrated the usage of Annotations to configure Servlets. Although you can use annotation to set init parameter I will not advise you to do so. The reason is, that if you use annotations to set up your init params you have to recompile your application every time you need to change a parameter. Using deployment descriptors to set up init parameter is much better. Once you put the init param values in your web.xml file and you need to change them, all you need to do is re-start the application with changed values. No recompile, no redeployment required! As already mentioned you will need to recompile and redeploy your application if you choose to set your init params like this. The <init-param> tag in web.xml file, creates an init parameter specific to a given Servlet. 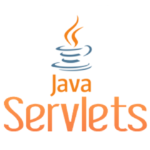 Java EE context param, init param, param-name, param-value, servlet, servletconfig, servletcontext, tomcat, webinitparam annotation. permalink.